Part of my personal goal for this year is to spend more time enjoying and supporting Harlem. Not because I was born and raised in Harlem, but because there's so many changes happening by the minute. Before I know it, everything will look and feel different. While I am HERE NOW, and while there are still business owned by people of color I will support them. Most recently I had brunch with one of my mentors at BLVD Bistro on 122nd Street. Impressed is an understatement. The Southern-inspired menu is hand crafted by Executive Chef and owner Carlos Swepson. It was one of those dining experiences where the awesomeness of the menu positively overwhelms you, so you order a few things to meet all of your taste buds (you know you've done the same thing quite a few times, admit it). 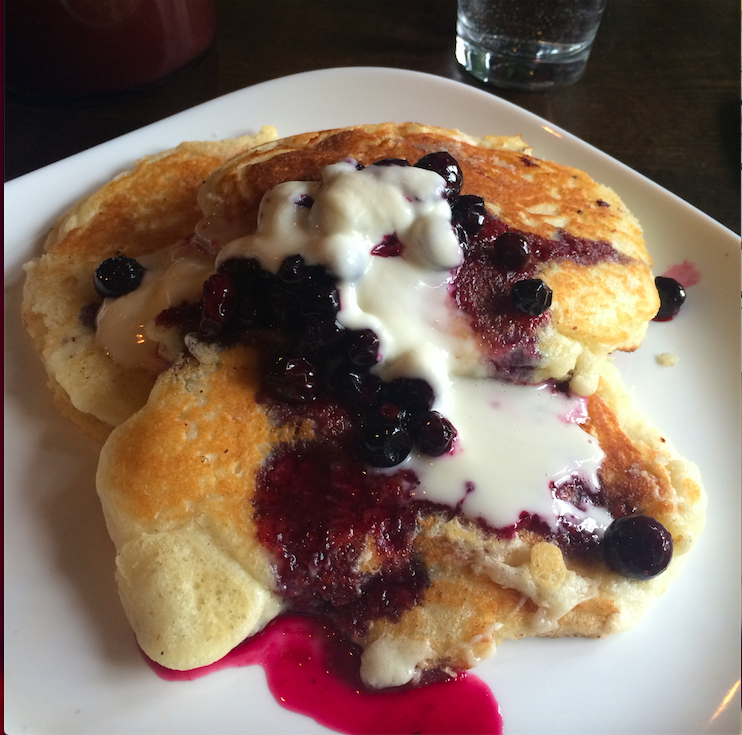 The contenders were the Catfish & Cheddar Grits, the Crab Cake Benedict and the Blueberry Buttermilk Pancakes. A FULL savory party. I was in pure bliss from the moment I started eating, until the moment I finished. Carlos's meals taste like pure love. Only something with that much love can taste that good. This was an excellent way to appreciate Harlem. Comfort food with a plethora reasons to be glorified. If you plan to dine in Harlem, don't pass BLVD Bistro up. Mention fearlessleon when you visit for a 20% discount. Discount valid until 2/4/16.